Waupaca, Wisconsin is located in Waupaca County, the most scenic part of Central Wisconsin, approximately 30 miles east of Stevens Point and 40 miles west of the Fox Cities, and is only a few hours drive from the major metro areas of Milwaukee, Madison, Chicago, and Minneapolis. Waupaca is often described as a small, vibrant community filled with home-town charm due to its many festivals, events, parks, historic Main Street, and scenic beauty including beautiful clear lakes and sparkling rivers. While these attributes are correct, Waupaca is much more. In addition to being a vibrant, charming small city, Waupaca is a community with a variety of employment opportunities including world-class industries, where entrepreneurs are welcomed and encouraged to take a chance, and is a place from which products and services are provided not only to local customers, but globally. 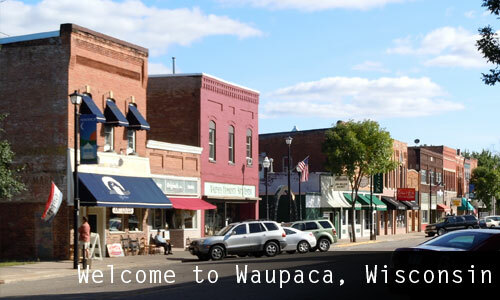 This unique balance of small-town, rural living, and progressive business culture is why Waupaca is the ideal city for people to grow and excel.